Palm vein scanning is coming to Windows 10. Video. 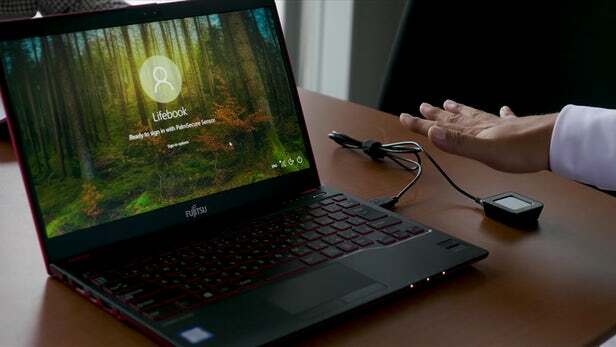 Fujitsu has unveiled the latest unlocking method for Windows 10: Palm Vein recognition. Fujitsu has been working on this kind of technology for more than a decade, but it's now partnered with Microsoft to offer Palm Vein Scanning as part of the Windows Hello suite of security measures – that's the tech that lets you log into Windows 10 with your face or your fingerprint, if your computer has the necessary hardware. And now, Palm vein scanning joins the list, though note it's scanning veins rather than actual palms. The idea is that the underlying network of veins are so intricate and complex that they're unique to every user. What's more, it's much more difficult to get a copy of someone's palm vein blueprint than it is to get a photo of someone's face, which might be enough to get through certain face unlock methods. 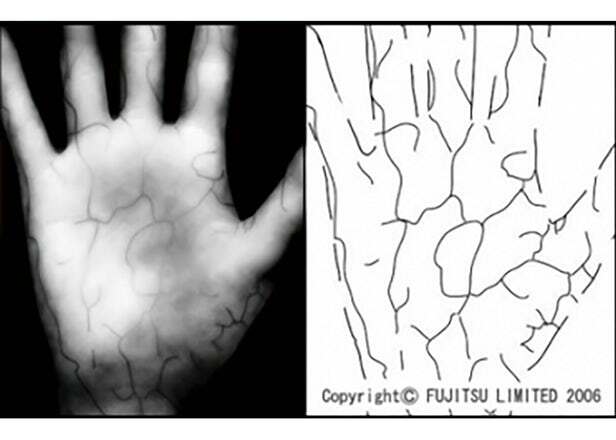 Fujitsu is promising that its laptop palm vein scanners, which are only a little larger than a postage stamp, are very fast and very accurate. All it takes is for users to hold their hands just above the scanner, and they're straight into Windows, no password required. The technology works with a quick upward blast of infrared rays, which bounce back at different rates depending on whether veins are detected or not. The end result is a palm map where veins are shown as black lines, which the security embedded into Windows Hello can then use to verify a person's identity. It's the deoxidized hemoglobin in the veins that makes them stand out to an infrared scan, and the blood needs to be pumping for it to work – so hackers won't be able to use a severed hand to log into someone else's Windows 10 computer. A number of businesses are already making use of this PalmSecure technology, and it's now available in Windows 10 Pro laptops from Fujitsu as well. Or at least it is if you're the IT buyer at a company. There's no word on a consumer launch, but the technology is likely to eventually trickle down to the rest of us.